In his regular column for the Daily Nation, our co-editor Nic Cheeseman highlights the importance of democratic ideas and memories in the ongoing struggles for democratisation across the continent. Democracy in Africa is under threat. In Burundi, Rwanda, Uganda, presidents have extended their stay in office, overturning constitutional term limits in the process. Even in South Africa, once the continent’s leading democratic light, the African National Congress (ANC) has become increasingly corrupt and out of touch with its former urban base. Does this mean that democracy is doomed in Africa? It is tempting to think so, especially given the number of Afro-pessimists around. No one can doubt the quality of political rights and civil liberties on the continent has fallen in recent years. But what is often overlooked is that some of these challenges are also opportunities. Democracies are rarely born fully formed. Rather, they are hard won through the blood, sweat and tears of activists and reformers. Part of what promotes democracy and solidifies democratic values in the long-run is the process of struggle, and the winning of improbable victories that serve as reminders of what has been won, and the price that it cost. 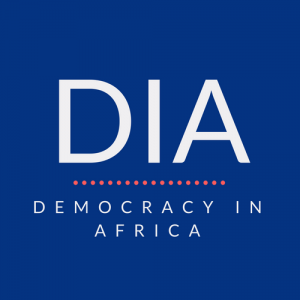 As a result, democratic backsliding is not necessarily the end of democracy in Africa – in some countries, it may be just the beginning. But what makes such an improbable victory possible? And how does the way in which democracy is achieved shape the way that it performs? On the face of it, democratic backsliding is wholly bad. It undermines confidence in multiparty politics, signals the willingness of leaders to break the law, and gives opposition parties a reason to seek to overthrow the political system. But just like the process of democratic consolidation, the process of democratic decline is far from straightforward. In the same way countries make halting progress towards more tolerant and open political systems, the process of falling back into authoritarian rule is often lengthy and uneven, with one step forward followed by two steps back. This is important because along the way there are likely to be opportunities for elite or popular resistance to authoritarian rule. Such moments are particularly significant because they are times when new democratic ideas, values and myths can be forged. It is easy to overlook these moments, but they have played a role in processes of democratisation around the world. In America, key episodes in the struggle for independence from British rule, such as the Boston Tea Party, were assimilated into the founding myth of the United States. The defeat of colonial rule is also an important political memory in Kenya, as demonstrated by the fact that some contemporary protestors explicitly reference the Mau Mau rebellion. More recently, the Saba Saba rallies and the overthrow of the one-party state in the early 1990s, along with the passage of the new constitution in 2010, have been a source of inspiration for many civil society groups. These kinds of events have a particular significance when they become the collective memories around which new societies and political systems can be constructed. Of course, memory is often deceptive, but this does not undermine the influence of past events – if anything, it is what gives them their power. Indeed, Georges Sorel, an influential theorist of revolutionary action who was born in France in 1847, argued that it was precisely when revolutionary memories become myths that they can be used to mobilise people for a given cause. For Sorel, progress towards a more equal society was not inevitable. Instead, he argued that it had to be won through human endeavour. More specifically, Sorel claimed the lesson of history was that equality could only be secured through a series of battles which – writing in nineteenth century France – he believed would take the form of a general strike perpetrated by workers against their bosses. This part of Sorel’s argument is well known and is controversial, because he not only argued that violence was necessary for such a strike to succeed, but also that it was justified. The bit of Sorel’s argument that is less well known and less problematic relates to the role of ideas in social and political transformation. Given his belief that progress was not inevitable, Sorel attempted to explain the conditions under which people would rise up to take on their oppressors. His conclusion was that communities needed myths to draw on in order to inspire people to the feats of heroism needed to move history forwards, such as the legend of the French Revolution. Although these myths were originally inspired by actual events, Sorel thought what really mattered was what they came to represent. After all, a simplified and romanticised vision of the past can be a much more effective rallying call than the complex reality of real life. Thus, for Sorel, myths were not accurate descriptions of the past but “expressions of a determination to act”. Sorel was writing about class struggles in Europe, but his point about the role of myths is just as important for the battle between authoritarianism and democracy. If the last twenty years in Africa has taught us anything it is that there is nothing inevitable about the defeat of authoritarian rule. 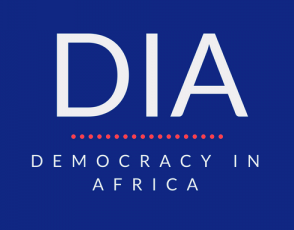 Although most of us would disagree with Sorel about the necessity and legitimacy of political violence, it is clear that democracy in Africa will only be secured if brave citizens and politicians risk their own safety and stand up to the abuse of power. In this context myths are important because they can inspire people to make great sacrifices for the greater good. Indeed, the success of democracy is shaped by the evolution of popular myths more than any other modern political system. Authoritarian systems can rely on force and coercion to sustain themselves, but democracies depend on the support – or at least the consent – of political elites and the wider population. The democratic backsliding that we have seen in Africa over the past decade has made it harder for reformers and activists to operate in many countries. But it has also created opportunities for the creation of new memories and myths when seemingly inevitable defeats are turned into unlikely victories. Take Burkina Faso, where President Blaise Compaoré tried to extend the tenure of his repressive government, despite already having served twenty-seven years in power. Instead, Compaoré was overthrown in a popular uprising that drew on popular memories of former President Thomas Sankara to bring people to the streets. As Marie-Soleil Frere and Pierre Englebert argued in a recent issue of African Affairs, “Sankara came to represent Compaoré’ s antithesis, a call for morality against corruption, an aspiration to dignity, justice, equality, and an end to impunity”. Although the process of democratisation is very much in its early days, the uprising generated new ideas and heroes, giving rise to a more powerful set of myths that can be invoked in the future if further pro-democracy protests be required. Another country in which popular myths are particularly important is South Africa, where mass rallies today invoke the spirit and songs of the liberation struggle. In this context, the battle of ideas has focussed on the question of who can legitimately invoke the heroes and leaders of the past. Many of those who have left the ANC in frustration at the government’s corruption and poor economic management claim that the party has abandoned its own principles. As a result, some of the people who are the most critical of the ANC are using the legacy of Nelson Mandela to support their claims. The recent local government elections, in which the ANC lost a number of key cities and only secured 54 per cent of the vote – its worst performance to date – suggests that opposition to President Jacob Zuma is growing. It will be interesting to see how the ANC will respond. As things stand, it seems most likely the clique around Zuma will use the government’s poor urban performance to further marginalise the more progressive elements within the party, which tend to be clustered in these areas. Should this happen, further democratic backsliding could follow, setting the scene for fresh battles over the ANC’s history and legacy in a country where leaders are well aware of the power of political symbols. Of course, while myths and symbols are important, they cannot sustain democratic politics on their own. Ideas are likely to flounder without an effective organisational base, and heroism is not enough to overthrow a well-organised authoritarian state. It is therefore important not to exaggerate the significance of ideas. But neither should we overlook the importance of myths as a force of popular mobilisation, or the possibility that authoritarian abuses can kick start new processes of democratisation. It is far too soon to give up on democracy in Africa.